Must-read coverage of Australian politics ahead of the federal election. The government is under pressure to reveal which foreign country hacked Australia's parliament and major political parties, as senior minister Mathias Cormann claims he had "no idea" he had never paid for flights for a family holiday. Follow all the latest political news live. The Australian Border Force has admitted a mistake on its part led to footballer Hakeem Al-Araibi's arrest and imprisonment in Thailand. But it is refusing to take full responsibility, claiming Mr Al-Araibi may have ended up in the same situation even without its screw-up. Here is the key exchange, from Senate Estimates, between Commissioner Michael Outram and Greens Senator Nick McKim. "I'm not going to dispute that Bahrain may have reached out directly to Thailand in a hypothetical alternative reality," Mr McKim said. "But you'd have to concede, wouldn't you, that the mistake made in ABF actually did directly result in the Australian Federal Police contacting Thai authorities and informing them that a red notice existed in relation to Mr Al-Araibi? "That would not have occurred if that mistake had not been made." "I accept that," Mr Outram said. "You accept that. You sure you don't want to offer an apology to Mr Al-Araibi?" the senator pressed. "I apologise for the error that occurred within the ABF, but I can't say, nor can I accept, that the error necessarily led to his detention in Thailand, that it wouldn't have occurred anyway," Mr Outram replied. The Prime Minister backed up that assessment during his radio interview this morning. 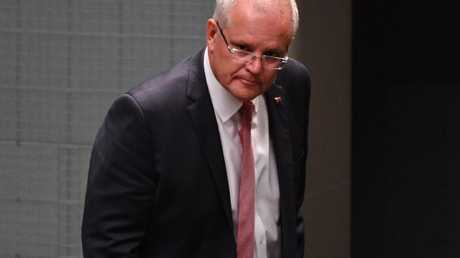 Scott Morrison discussed a couple of other topics with Neil Mitchell, including the Sky News report that 265 asylum seekers on Manus Island and Nauru have been rejected by the United States under its "extreme vetting" process. "They were always not going to accept everybody," Mr Morrison said. The Prime Minister said America had rejected the asylum seekers "for reasons that would suggest that they weren't welcome in the US, because they were concerned about who they were". "Do they end up in Australia?" Mitchell asked. "Well not under our laws, but they could under Labor's," Mr Morrison said. "In a lot of these cases, these people won't have serious convictions, but they may well be facing charges. "The other group is the group who have been found not to be refugees. They're there because they refuse to go home. They're not refugees." It should be noted that some of those 265 asylum seekers rejected by the US probably fall under Donald Trump's so-called Muslim travel ban, which prevents people from certain countries from entering the United States. On another subject, Mr Morrison said it was "a bit of a leap" to say refugee footballer Hakeem Al-Araibi would not have been arrested in Thailand if not for a screw-up by the Australian Border Force, which was revealed in Senate Estimates yesterday. Essentially, the ABF didn't get around to sending a crucial email. "I'm not suggesting that incident was not something that needs to be addressed," Mr Morrison said. "It was my job to get him (Hakeem) home and I'm very pleased that Hakeem has come home.". 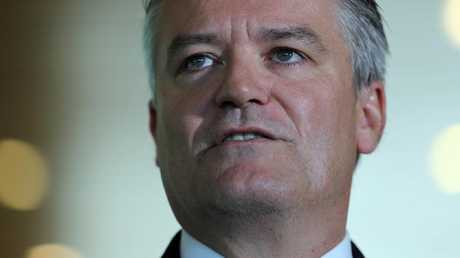 The Prime Minister defended Mathias Cormann, who says he had "no idea" a travel company called Helloworld had paid for his $2780 flights to Singapore for a family holiday in 2017. "He thought they were going to bill him and he didn't get billed," Mr Morrison said. "After he got caught!" Mitchell shot back. Finally, Mr Morrison rejected the accusation that ministers Michaelia Cash and Michael Keenan had not co-operated with the AWU investigation. "They were written to and they were asked to respond, which they did. And they provided responses and the police have not sought any further statements from them," he said. Yesterday the AFP revealed it had requested interviews with both ministers on multiple occasions. They responded with a letter. The Prime Minister went on 3AW this morning, where he discussed the hacking of Australia's parliament and political parties with host Neil Mitchell. "Can you rule out China as the main suspect?" Mitchell asked. "Well I'm not commenting on where it might have come from, other than to say the sophistication has led agencies to advise us this is a state actor," Mr Morrison said. "What does that mean? What's a state actor?" Mitchell replied. "Well it means it's a government," Mr Morrison said. At that point the conversation started to get testy as it went around in circles. "Do you know who did it or not?" Mitchell asked. "No what I'm saying is, you don't go and make those claims wildly. We don't have any information. I don't have any information that would allow me to make that claim," the Prime Minister said. "You don't know who did it?" the host pressed. "I've said what I've said Neil. "It is not up to me to have suspicions and share them. It is up to me to speak to the facts as we know them and what we can be very confident of." Earlier, the head of the Australian Cyber Security Centre said he didn't know which country was behind the cyber attack. "There are only a handful of states that can do this type of thing but it is hard for us to really come and definitively saywho it is," Alastair MacGibbon told Sky News. "Because of the type of infrastructure used in this case and by their methodologies inside the system, they are confidentit is a nation state. What we don't know is who." China's foreign ministry has issued a statement condemning the "irresponsible" speculation it was behind the cyber attack. "One should present abundant evidence when investigating and determining the nature of a cyberspace activity, instead of making baseless speculations and firing indiscriminate shots at others," said spokesman Geng Shaung. "Irresponsible reports, accusations, pressurising and sanctions will only heighten tensions and confrontation in cyberspace and poison the atmosphere for co-operation." Finance Minister Mathias Cormann says he had "no idea" a travel company called Helloworld had paid for his $2780 flights to Singapore for a family holiday in 2017. The flights for Mr Cormann, his wife and children were booked on Helloworld's "staff and family travel" account, the Sydney Morning Herald reports. Soon after the flights were booked, a subsidiary of the travel company won a Finance Department tender worth $300 million per year. Helloworld's chief executive, Liberal Party Treasurer Andrew Burnes, told the newspaper an "internal administrative oversight" had led to Mr Cormann's credit card not being charged. Mr Cormann claims he only learned of the discrepancy when the reporters contacted him about it yesterday. He has since paid for the flights. The minister says he had no influence over the tender process. "The travel booked through Helloworld back in July 2017 was on commercial terms and should have been charged to my credit card straight away, as instructed by me at the time," Mr Cormann said in a statement this morning. "That is what I genuinely thought happened. At no point until approached by the media yesterday did I receive any reminders that the payment due remained outstanding. "I can confirm that I had absolutely no involvement in either the selection of the preferred tenderer or the awarding of the contract." Peter Dutton has accused Labor of seizing on the Paladin controversy as a distraction from the asylum seeker debate. "This week they are under pressure for passing a law that's going to bring in people of bad character. All of a sudden they've got an interest in this $400 million," Mr Dutton said. 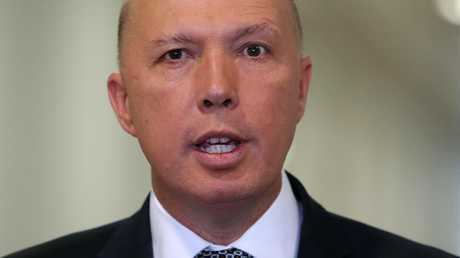 In Senate Estimates yesterday, officials from Mr Dutton's Department of Home Affairs were grilled about the controversial $423 million contract awarded to Paladin to provide security, among other services, on Manus Island. Media reports had claimed Paladin won the contract despite not having enough money to start it, and despite its founder's history of bad debts. "What is reported in the media is in some parts not consistent with the reality of our records," Home Affairs Secretary Michael Pezzullo told the hearing. He denied the accusation that the government had paid $10 million to Paladin upfront. The contract of the company which previously handled security and other services on Manus Island was due to run out on October 31, 2016. The officials said PNG had initially committed to run the tender process to find a replacement, but then advised Australia it could not proceed because its government was in caretaker mode. "The department was required to step in and assist PNG with the provision of services," Mr Pezzullo said. "PNG changed its mind from saying initially we'll take care of the centre, we'll deliver the services, we'll run the tender. "We're not going to let people starve, we're not going to let people go without food or water." Another official, Cheryl-Anne Moy, gave the hearing more detail, saying there was "very little time" for an open tender process and in any case, the department was uncertain how many companies would apply. "We did not have time for an open tender," Ms Moy said. "We weren't even sure anyone would be in the market to provide the services. "We talked to the Department of Finance, we talked to the government solicitor, we talked to our external probity adviser and looked at what options we had. "They provided advice that we could approach an organisation that would be able to deliver the services." This led to the department invoking a particular regulation which allowed it to approach a provider - in this case, Paladin - directly. The officials clarified that their contract was with the Singapore-based company Paladin, not the subsidiary registered to a beach shack at the end of a dirt road on Kangaroo Island. And they stressed that Peter Dutton had "nothing to do" with the procurement process. Home Affairs Minister Peter Dutton at Parliament House in Canberra. China has hit back at suggestions it was behind the hacking of parliament and Australia's major political parties. 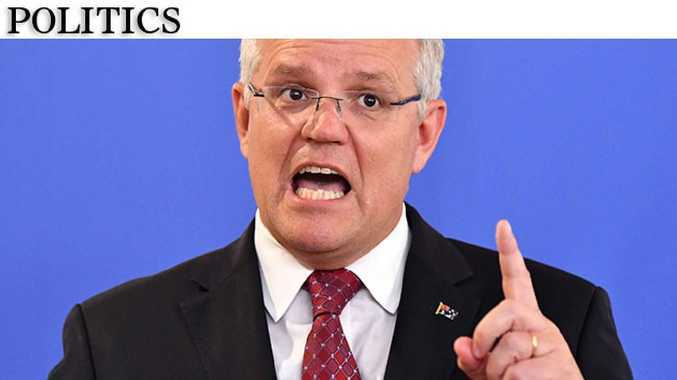 Yesterday Scott Morrison revealed experts believe a "state actor" was behind the cyber attack, though he did not specify which state. Others immediately speculated it could be China. Now a spokesman for the Chinese foreign ministry has responded. "One should present abundant evidence when investigating and determining the nature of a cyberspace activity, instead of making baseless speculations and firing indiscriminate shots at others," said Geng Shaung. Yesterday the head of the Australian Cyber Security Centre, Alastair MacGibbon, admitted he did not know what the hackers may have accessed. "We will continue to work with our intelligence and law enforcement agencies, both here and overseas, to try to determine what they were trying to do."